So in the name of learning more about photoshop and my approach to color, thought I'd have fun with a few of my favorite characters over at Marvel comics. I think this would be a sweet black ops book, and with the proper team writing and drawing, I'd gladly pick up monthly. Lead by O.G. 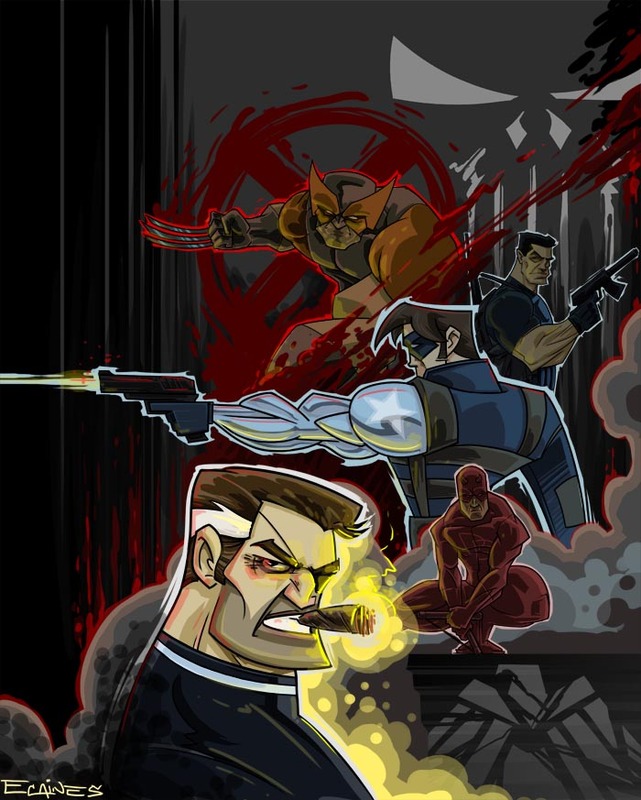 Nick Fury, we have Punisher, Wolverine, Winter Soldier, and Dare Devil. DD brings that conflict in killing conscious voice to the team dynamic, while the other 3 display various levels of reasoning/ justification to killing. They said I was crazy, They said I would need the best super hero in the world. I'd need 4 of them.